Get inspired to live the life that you want. I kicked off the year by surrounding myself with people I care about along with those that inspire me. On the evening of New Year’s day, a dozen of us got together for dinner at one of my favorite restaurants, The Pig & The Lady, a Vietnamese eatery located in the heart of Chinatown. We not only experienced an amazing meal, we connected on another level by openly sharing one or two personal goals we wanted to achieve this year. 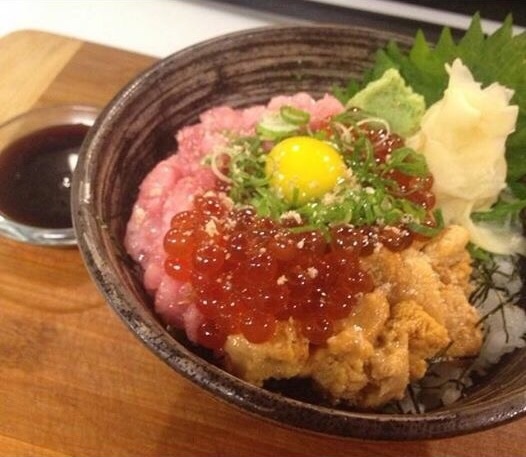 Chef Hide Yoshimoto of Izakaya Torae Torae, a casual Japanese tavern, is proud that he created his signature dish – Negi Otoro Don with Ikura and Quail egg, a rice dish served in a large bowl topped with the fattiest portion of tuna, green onion, and salmon roe. My colleague and friend, Michael Roush, Director for the National Disability Institute’s Real Economic Impact Network, connected with me during his last business trip here on Oahu. 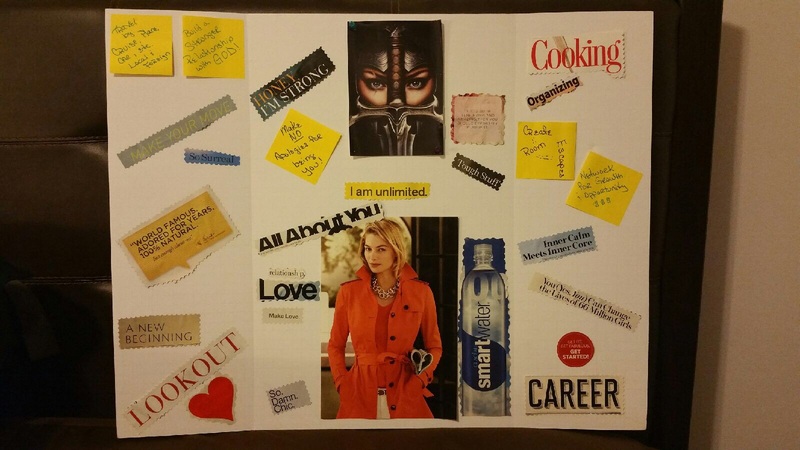 Our dinner conversation on vision boards inspired him to do one and he did! This exercise has been very rewarding and helpful for him. 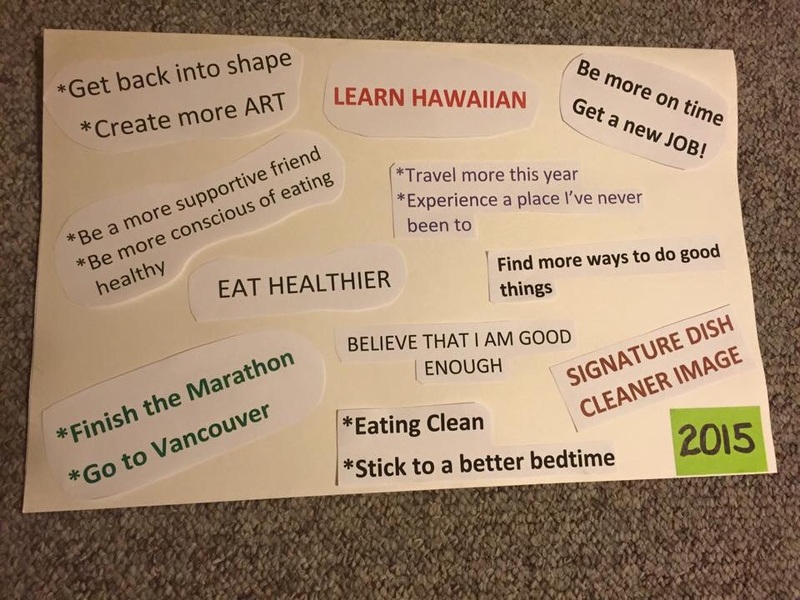 The vision board provides him a daily reminder of what his goals are and that they are possible! 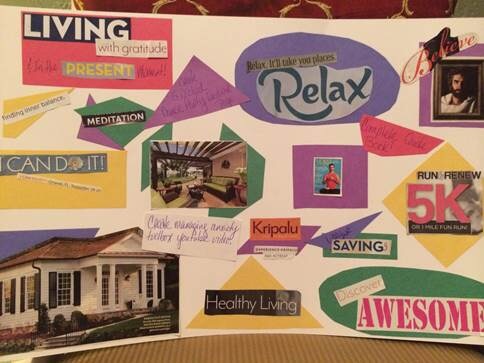 LaToya hosts a vision board party every year during the Thanksgiving holiday. This annual event brings together people of all different backgrounds and the sharing of our dreams and goals creates an unbreakable bond of support, belief in each other, and inspiration. 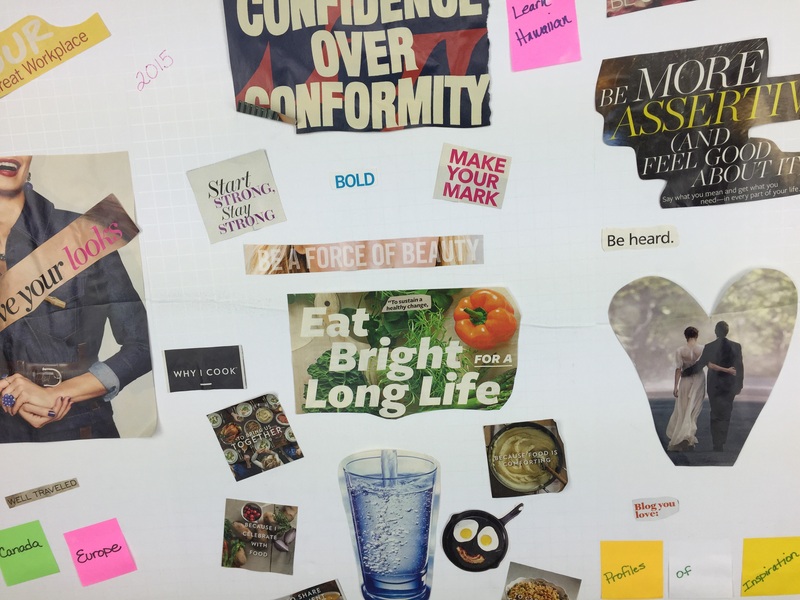 I’m excited to be part of this again and curious how my 2016 vision board will unfold! While I use this time to pause and reflect on 2015, I can’t help but smile and feel lucky. Many wonderful things happened – like falling in love. I was initially hesitant in placing a symbol of love on my vision board however I knew deep down that I truly valued being in a committed relationship. I was scared but I did it. I placed a heart shaped picture of a couple onto my vision board. Five months later, I found myself in the most loving relationship. My interview with Alice Inoue earlier this year inspired me to “make what is valuable to you, your focus.” And that is what I did. I’m eager to celebrate this year’s end as it marks the start of another vision board adventure. What are you trying to accomplish these last two months of the year?